Over the past few decades, marketing has evolved from a hunch-based and immeasurable practice to one driven by data, analytics, and software. At the beginning of the century, Eloqua and Marketo led the convergence of email marketing, online lead nurturing, and inbound lead capture to bring the first marketing automation solutions to market. Thanks to marketing automation, today’s marketers can test, score, and nurture leads without having to be engineers. However, today’s marketers face new challenges. Marketers now work with advanced software and myriad channels to identify new prospects and engage customers. Marketers once again face technical challenges for which the solutions require technical knowledge and engineering background. So what’s next? As the volume and complexity of data available to CMOs and senior marketers grows, which new technology will help them make data-driven decisions to engage and convert prospects? 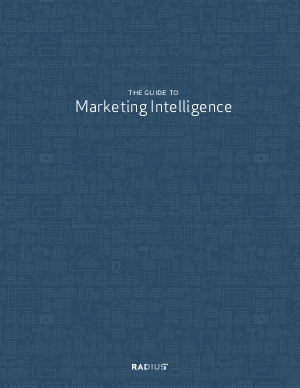 This guide will dive deep into those challenges, identify key trends, and introduce the concept of marketing intelligence.